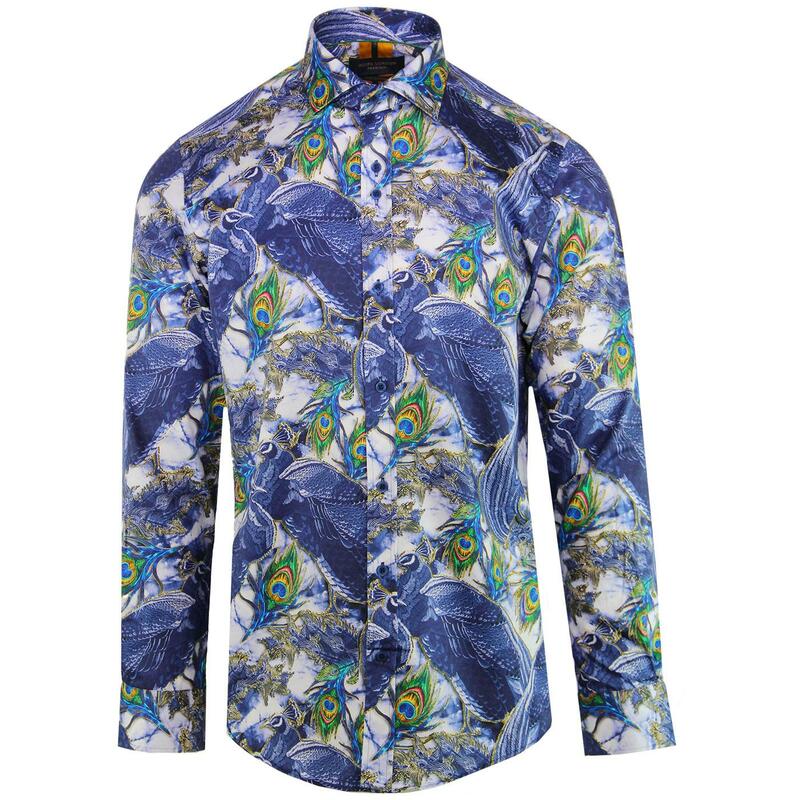 Guide London men's retro peacock print shirt in blue. 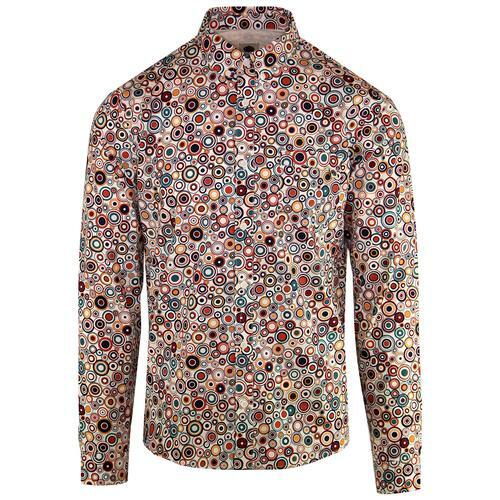 Possessing a 1960s mod and psychedelic flair, this Guide London peacock print shirt features a striking colour palette, tailored cutaway collar and a neat sequence of buttons to the placket. 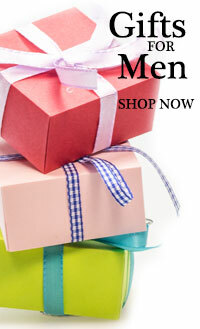 The shirt is finished with contrast green inner cuff trim. A flamboyant dandy mod shirt that is sure to make you feel as happy and as proud as a peacock! 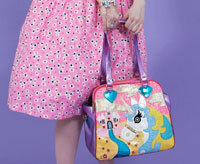 The oversize peacock print with the intricate tail feathers conjures up a genuine late 1960s psychedelic vibe. 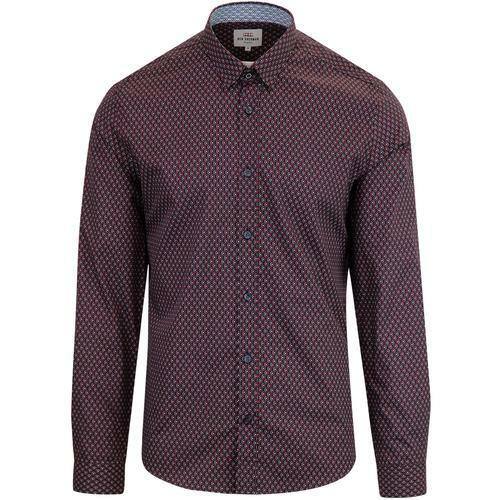 A men's retro shirt to truly catch the eye - The Guide London Peacock Print Shirt. 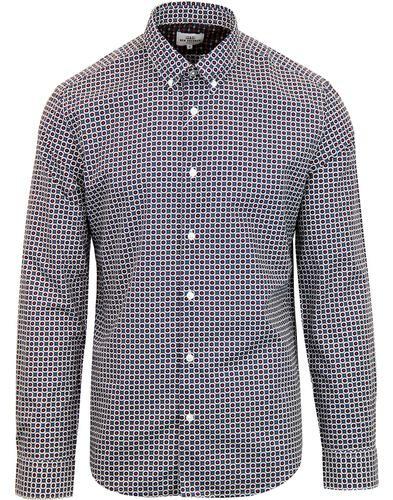 Guide London men's 1960s mod peacock print shirt in blue. Vibrant peacock print cotton fabric. Nice sequence of buttons to placket. 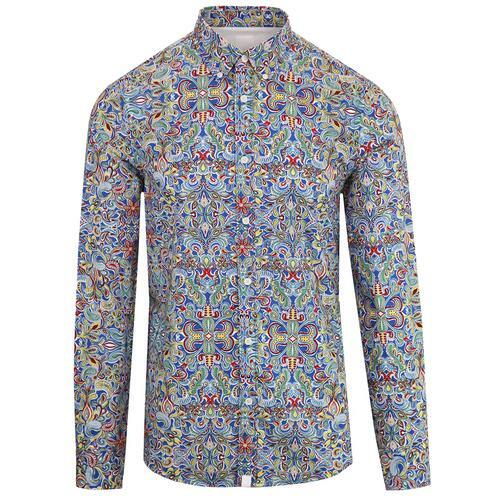 SKU: LS74969 Peacock Print Shirt.